The mobiles are slowly becoming the computers of the future. Mobile phone business is one of the most rapid growing industries. Not so long ago, the popular and most awesome phone was Nokia 3310 with mere basic functions: call, text messaging and the only bearable game, snake. However, significant improvement has been made since then. Some phones have no buttons and are equipped with multi-touch screens, accelerometers, audio systems, video systems and hundreds of other media and productivity features. Perhaps the term "Super Phones" is a best way to describe them considering manner in which it is evolving. Started with the revolutionary Iphone which changed the way we use our mobiles which introduced the concept of "Super Phones" . Android had taken the concept further by providing multitasking which Iphone used to lack. The early smartphones used to run ARM V7 and 8 architectures where the clock speed of the processor was restricted. Now with the new ARM cortex architecture the clock speeds are touching 1.5 GHz and more over with the introduction of the dual core processors the restrictions which were enforced on the applications are removed which will help to bring the power of desktop computers to mobile. What can we expect from the next generation of mobile handsets. We cannot exactly where it is heading, But for sure we can say that they are going to change the way we interact and they are going to rewrite the concepts of mobile computers. Here we will look over some of the NextGen mobile concepts. Even thought it is the present represents the present flavor of mobile phone , but it is the mobile which changed the concept of next generation mobiles . So we can consider it as the root of the next generation mobiles. here are many companies seeking to design & develop the "next generation" phone. We can now add Mozilla to this list. Seabird is an experiment on how users might interact with their mobile content as devices and technologies advance.he Seabird is based on Android technology, according to TechCrunch reports, and boasts some advanced features to improve user interaction. The most striking feature is the use of dual projectors allowing it to double up as a full-blown computer. The "Window Phone" makes accurate predictions and even changes its display to reflect the climatic conditions outdoors. The revolutionary approach lies in the fact, that a customer can model absolutely any shape of the mobile phone's case, with absolutely any color and different patterning and pictures on it through an internet page with the help of a simplified scheme. 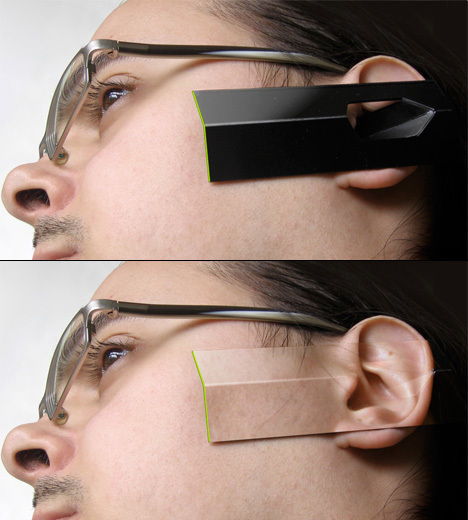 The Kambala is a mobile phone that transforms to a earphone as well. Pop the center piece and the earpiece clip pings out; clip this to your ear, and you got a phone-earphone! Multilayered Polymer which hosts all the electronic components is used in its construction. 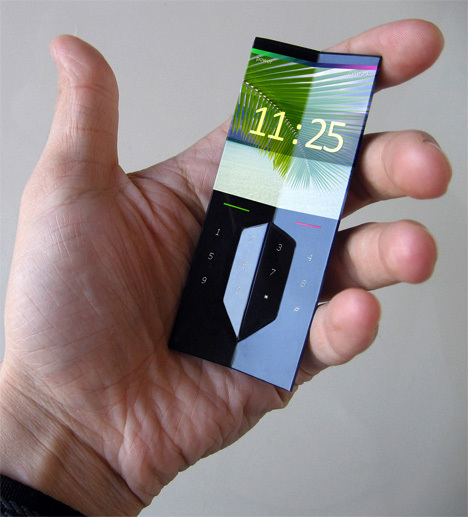 A continuous flexi-screen with plenty of sensors makeup the surface and it has the ability to transmit the image on the inside of the phone to the outside. It even does a chameleon act by blending in with your skin tone when you clip it to your ear. The concept behind the Sticker Phone is quite simple; most of us tend to place our mobile phone near windows for better signal reception. So this concept takes it a step further by adding a solar panel to the back of the phone and giving it a slight arch so that it can stick (via suction) to the window glass for some sunshine.